Gretel is not a company name you easily forget as it is associated with one of the more popular Grimm’s brothers fairy tales, Hansel and Gretel, one which features a house made out of cookies, biscuits, cake and chocolate and inhabited by a cannibalistic witch. The GT6000 is available in black, blue and gold, and the sample sent to us had a polished matte finish, which makes it feel premium especially as the device is made of metal rather than cheaper plastic. Designers opted for a rounded, less aggressive, almost pebble-like shape, a feeling accentuated by the 2.5D curvy screen built by Sharp. There’s two camera sensors (a 13-megapixel and 1.3-megapixel one) at the back with dual flash LED lights and a 5-megapixel front facing one with flash. The screen is a 5.5-inch IPS display from Sharp that has a HD resolution (i.e. 1280 x 720 pixels), decent for most purposes. 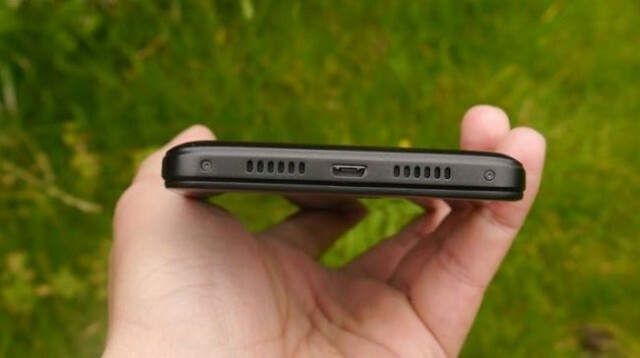 On either side of the smartphone are a card slot (taking either two SIM cards or one SIM and one microSD one) and the power button/volume rocker. The earphone plug is located on top while the speaker grills and the microUSB port are located at the other end. Between the two permanent capacitive system buttons is an oval home button that doubles as a fingerprint scanner which offers decent speed but average accuracy during our test. The setup means that the Gretel is slightly bigger than your average 5.5-inch display. This phone is all but skinny, at 15.40 x 7.73 x 1.08 cm, it is significantly thicker than most smartphones on the market. ; weighing just over half a pound or 228g, the GT6000 has a more wholesome, almost rugged, feel to it when being handled. It is substantial both in size and mass, and that’s a good thing although it tends to be a tad slippery. The phone supports the all important B20 band, essential for O2 and GiffGaff users, via the Mediatek MTK6737, an entry level CPU with four cores clocked at 1.3GHz and an Arm Mali-T720 GPU. Paired with 2GB of RAM and 16GB of onboard storage (10.27GB usable), this is clearly entry-level territory. However, the fingerprint reader, the cameras and a non-removable 6,000mAh battery (that’s powered by a 9V2A charger) are mid-range components. Speaking of the battery, you can even use the GT6000 as a backup power bank to recharge other devices if needed. As expected, the GT6000 runs Android 7.0 (Nougat) and wireless connectivity is limited to 802.11n and Bluetooth 4.0. There’s no support for NFC which will deter some potential buyers. NFC is growing in popularity in the Western world where it simplifies small transactions. In the UK, NFC is used primarily in the retail market where it is popular among small businesses and public transport users in London. The screen is adequate under most circumstances. We haven’t had issues reading it even in bright sunshine; the colors are reasonably saturated and pictures and images are sharp enough even for a display with such a low pixel density. The GT6000’s screen is bright without being oversaturated. The screen, however, proved to be a real fingerprint magnet -- no oleophobic coating at this price sadly. The rear camera, a Panasonic MN34172 sensor with an F/2.2 aperture, produced decent pictures given how cheap it is. It can store up to five fingerprints for authentication. We loved the bundled Parallel Space app which allows you to create a virtual container where you can run another app with a different account, something which is not unlike Samsung’s very own Knox. Not sure whether that would work on Whatsapp (unless you use two different SIM cards) but its use case would be a business and personal Facebook account on the same device. As for being sturdy, it did fall down on a hard surface during our test without any noticeable cracks or bumps. 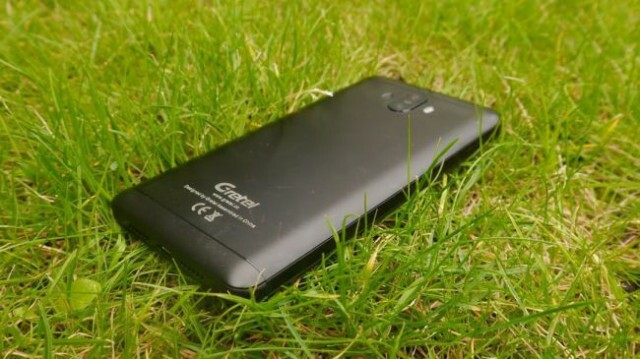 The Gretel GT6000 is available for under £90 at popular Chinese retailer Gearbest. 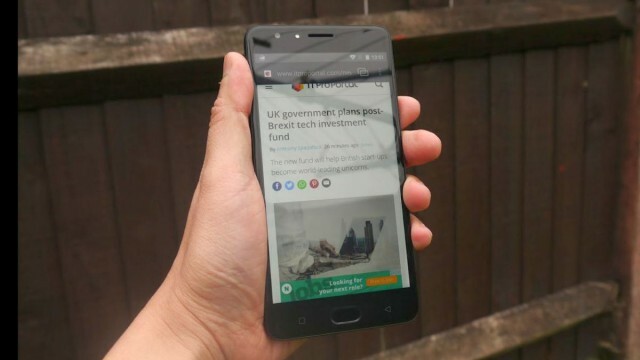 The Homtom HT37 Pro is on sale from the same retailer with twice the memory and twice the storage for a much smaller outlay (£37 at the time of writing). It has a worse camera subsystem and a smaller battery, but that’s about it. Should you opt for a locally-sourced device, then check out the Wileyfox Spark Plus which is available from Carphone Warehouse for £89.99; its battery is far smaller than the GT6000 and it runs on Marshmallow rather than Nougat. The GT6000 is, on paper, a tough sell however, it is the only one to pack a large battery (6,000mAh), two rear cameras and the latest mainstream Android OS (Nougat). Sure, the competition has higher screen resolution or a lower price tag, but the GT6000 manages to hit the bullseye for those who look for a feature-light smartphone with a big battery life. 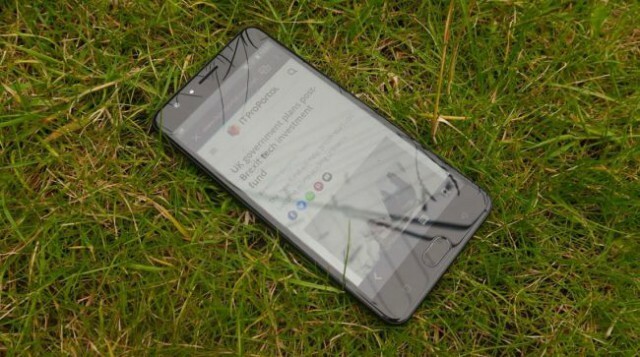 It will appeal to business users who want a quasi-disposable smartphone running on the latest Android with some security features (like a fingerprint reader) and more importantly a big battery that can last all day between charges (and occasionally charge another colleague’s phone). 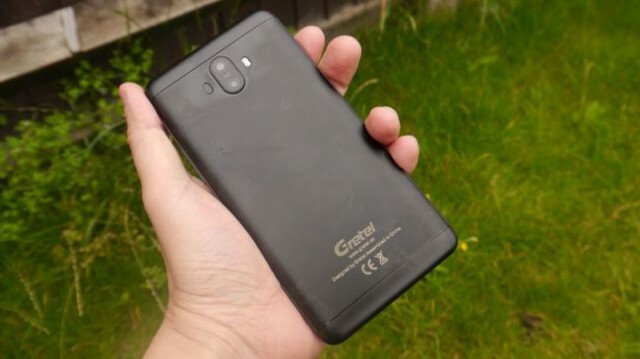 Gretel is not a well-known household name in the UK which limits its appeal especially as the overall record of Chinese mobile manufacturers when it comes to after-sales and software updates can best be described as patchy.